This shirt is in excellent pre-owned condition. See pictures. Don't miss out on this great deal! Tip of collar fold to bottom of shirt: 31.5". Want to make the sure the clothing item fits?. I strive to have complete transparency in regards to size and quality. I work to limit them as much as possible. 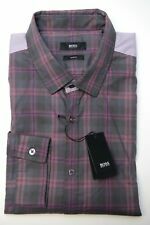 BOSS HUGO BOSS MEN'S BLACK LABEL REGULAR FIT SHIRT SIZE MEDIUM HARDLY WORN! Chest 22" - (Arm Pit to Arm Pit). Height 31" ( Does Not Include Collar). 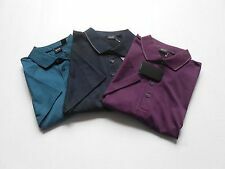 HUGO BOSS GREEN LABEL POLO SHIRT. SIZE: ADULT XL. It's not a stain, looks like a small ironing mistake. See photo 6. There is very faint discoloration along the inside of the collar. There is also a very small red spot on the inside of the collar crease. 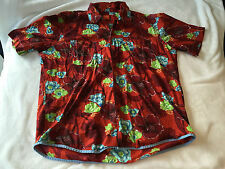 It is a size large and it is made with 100% PIMA cotton. This shirt is in excellent condition. Color: Light blue with checkered contrast flip cuffs! Material: 100% Cotton, the material is thin and lightweight. 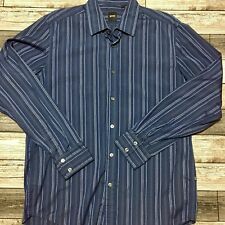 Length (Base of Collar to End of Shirt Vertical) – 30”. Shoulders (Shoulder Seam to Shoulder Seam) – 18”. Length from bottom of collar 29". We will respond within the hour, typically within 5 minutes! 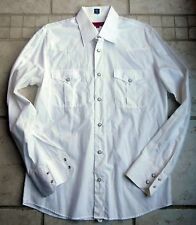 COTTON SHIRT. FIRST PICTURE SHOWS COLOR BEST. Size: XLARGE - LONG Sleeve. Casual LONG Sleeve. Manufacturer : Hugo Boss. Style Type : Polo. Shoulder seam to cuff: 8.5". Underarm to underarm: 21". The shirt shown in the pictures is the exact one you will be receiving. The is a used item but in good condition. The size is small. Measurements can be taken, please just ask. More pictures can be taken, please ask. Please look over the pictures before purchasing. No refunds and no returns. You will receive exact item shown in picture. Color: Brown. 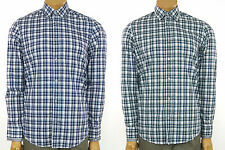 Hugo Boss Orange Label Men's Long Sleeve Button Down Plaid Shirt XL. Condition is Pre-owned. Shipped with USPS First Class Package. 100% Fine Cotton. 100% Cotton. White, Blue, Navy. Front pockets. Very good condition except has a hole on bottom front. Khaki army green color. NHLPA Logo (National Hockey League Players Association). 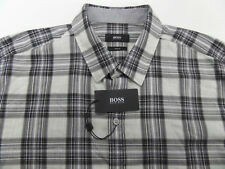 Hugo Boss Polo Green Label Shirt. Pictures of the item may vary slightly in color, or be lighter or darker due to your monitor settings. 100% Cotton. 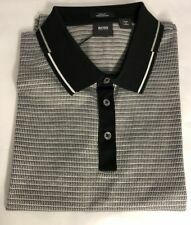 Hugo Boss Polo Short Sleeve Slim Fit . Condition is Pre-owned. Shipped with USPS First Class Package. Colors are Bright, light wear.